This resource accompanies the The ABC Party song from Sing and Play Green. Directions: Upper and lowercase alphabet included. 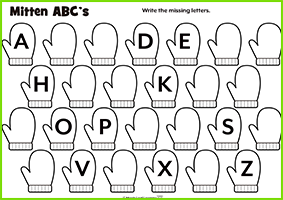 Fill in the missing letters and color the mittens.